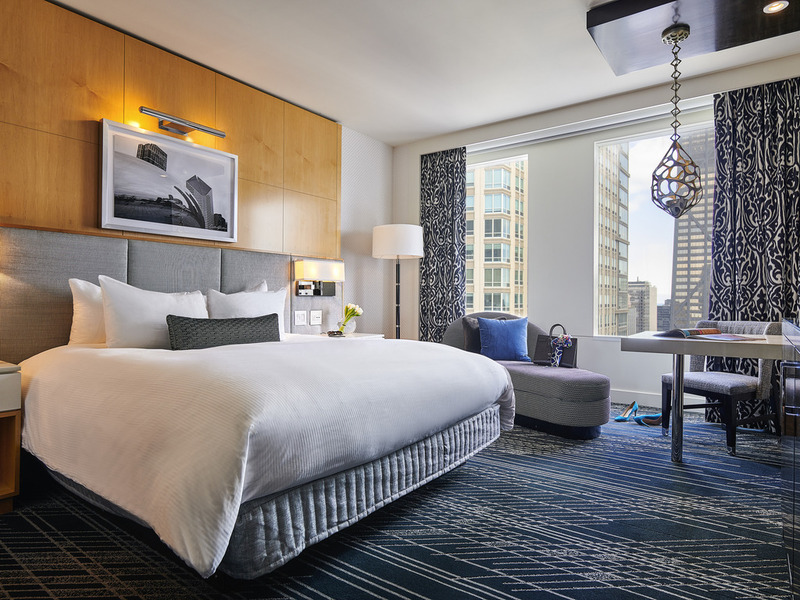 Sofitel Chicago Magnificent Mile provides upscale accommodations just minutes from the Magnificent Mile, Navy Pier, Museum of Contemporary Art, Lake Michigan and many fashionable boutiques and restaurants. This luxurious downtown hotel is a real architectural star in the place where skyscrapers were invented. Discover the finest of everything in the Windy City at our downtown Chicago hotel. Our unique hotel designed by French architect Jean-Paul Viguier is a 32-floor prism of glass featuring stunning views of Lake Michigan and the Chicago skyline. 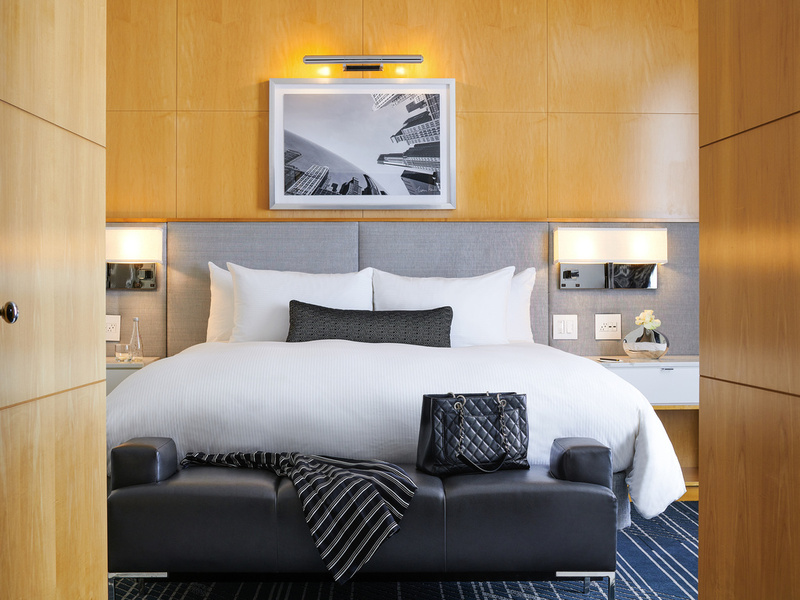 Select from 415 rooms on 32 floors including 32 suites and one presidential suite all featuring Sofitel's luxurious feathertop and duvet sleep system - SoBed. French architect Jean-Paul Viguier's award-winning design is a jewel in Chicago's skyline. At this prestigious Gold Coast address, you are ensconced in art, culture and style. 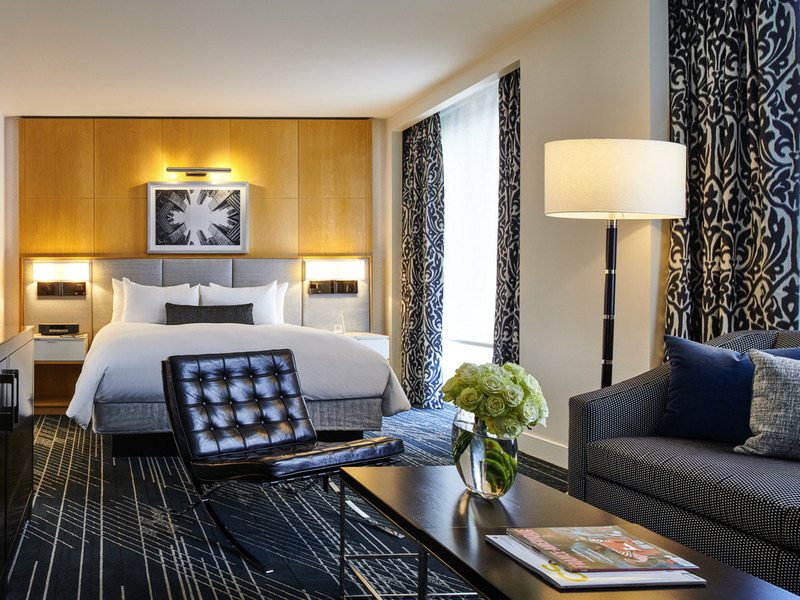 From designer décor to housemade charcuterie, Sofitel brings Parisian savoir-faire to Chicago. Each Sofitel is a unique blend of the French art de vivre and local refinement. With its unexpected silhouette that captures light and plays with space, avant-garde Sofitel Chicago Magnificent Mile is a monument to 21st-century architecture. In a historic district crowded with perpendicular skyscrapers, this modern luxury hotel captures both your eye and imagination. The triangular prism sits on a square piece of land, with acute angles cutting into the air like the prow of a majestic ship. Chef Greg Biggers and his team of artisans hand-craft charcuterie, cheeses and confitures. Housemade products and local ingredients inspire the dishes that grace each season's menu. You immediately recognize the care that goes into your meal. Sofitel Chicago Magnificent Mile is where travelers want to be. The city's most dynamic shopping, nightlife and museums are at your doorstep. From this prime location, explore the magic of the Magnificent Mile, Millennium Park, and Navy Pier. The buzz of downtown Chicago, with its soaring glass and steel skyscrapers, contrasts with the relaxed atmosphere of the city's numerous parks. Whether you appreciate architecture, contemporary art or jazz, the Windy City is an exceptional destination. 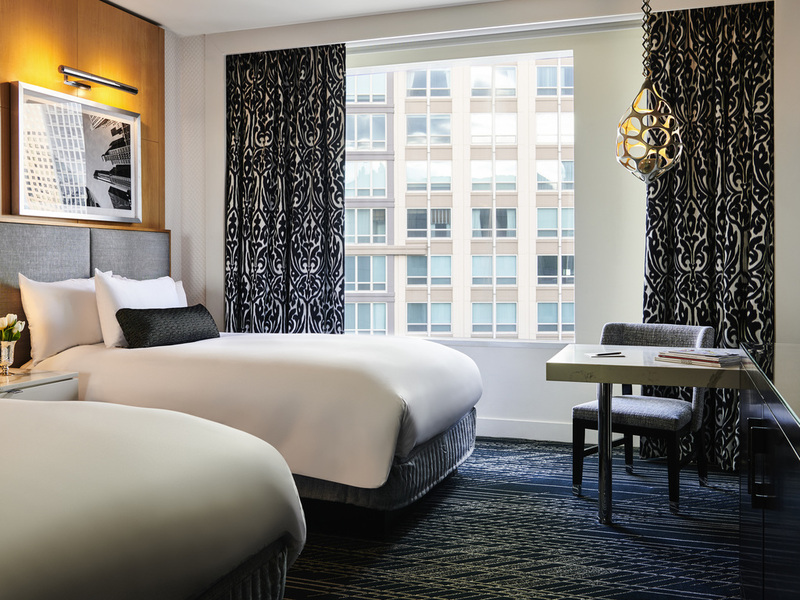 The accent is on comfort within our sleek Chicago luxury hotel. Our 415 downtown Chicago luxury hotel suites and rooms exemplify "art de vivre", with designer furnishings, spacious marble bathrooms, and views of downtown and the John Hancock Observatory. Enjoy spacious comfort at our sleek Chicago luxury hotel with elegant suites featuring separate living rooms. These accommodations at our hotel in Chicago feature the best views of downtown and the John Hancock Observatory. Many restaurant items available through room service. Discover fine dining at Cafe des Architectes our delicious downtown Chicago restaurant. Savor contemporary cuisine from classic French roots - created with local ingredients - as you enjoy stylish modern decor and a seasonal outdoor terrace. Le Bar our stylishly modern downtown Chicago lounge. Enjoy the perfect setting for relaxing and socializing as you sip delicious wine and specialty cocktails. Enjoy fine dining at Café des Architectes, our Chicago downtown hotel restaurant. We offer seasonal menus featuring contemporary cuisine with French roots, a stylish decor celebrating our modern downtown Chicago IL hotel, and a seasonal outdoor terrace. Stylish modern bar featuring floor to ceiling glass walls, inviting library area and specialty martinis, and an extensive selection of Champagne and wines. Unforgettable events come naturally at Sofitel Chicago Magnificent Mile with more than 10,000 square feet of meeting space featuring breathtaking city views. Let our stylish decor and flawless service set the stage for meetings of distinction. Choose from spectacular hotel meeting venues including a 4592-square-foot ballroom eight meeting rooms and a private dining room with open kitchen. Enjoy expertly prepared French cuisine and create incomparable meetings. Strikingly elegant Sofitel Chicago Magnificent Mile is a premier wedding venue. The stunning hotel offers a sense of modern grandeur as you delight in cuisine by acclaimed Executive Chef Greg Biggers. Let us make your Chicago wedding truly unforgettable. Culinary art and delicacies, beautifully re-imagined. Sumptuous wedding receptions. Elegant French cuisine. Effervescent champagne. Wine pairings by our experts. Design a fabulous banquet for your most important moment. Enjoy the classic, timeless elegance of our Paris Ballroom and add distinctive French style to a magical day. Our experienced wedding coordinators are ready to help you with planning every detail, from ceremony to reception. Sofitel's Weddings Planner is part-artist, part-visionary, part-manager. Together you create the details of your wedding reception and events and select the perfect Sofitel Chicago Magnificent Mile wedding venues. The Planner brings your vision to life. Luxuriate in a spectacular wedding venue, including the glimmering Grand Ballroom hosting up to 340 guests in a banquet style. Sofitel Chicago Magnificent Mile accommodates your wedding party with 415 luxury hotel rooms and suites, lavishing them with ultimate comfort and sophisticated style. Sofitel Chicago Magnificent Mile is located in the heart of downtown Chicago's prestigious Gold Coast district, just steps away from the world-renowned Magnificent Mile. 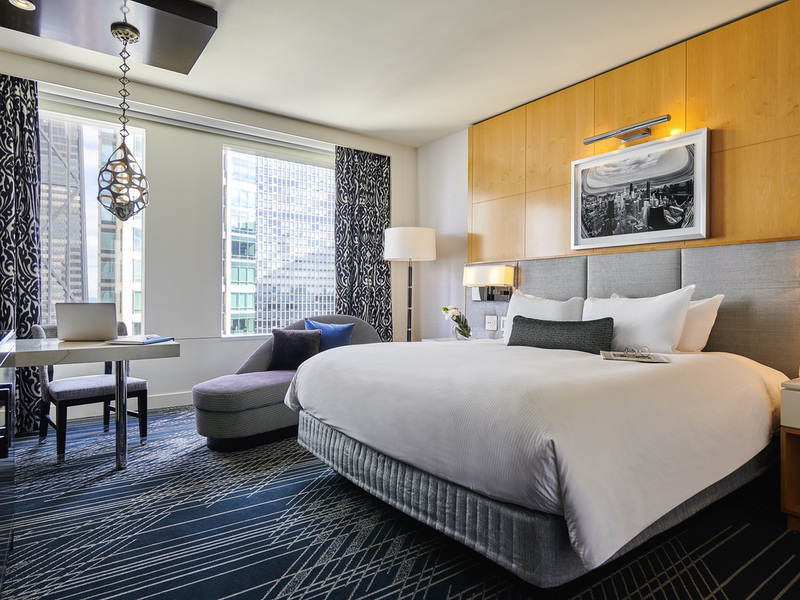 Sofitel Chicago Magnificent Mile offers a variety of services and amenities so that you can get the most from your vacation or business trip to downtown Chicago. Our luxury hotel features a fitness center complimentary Wi-Fi valet parking and more. Chicago lies on the shores of Lake Michigan, the 3rd largest of the Great Lakes and sixth largest body of freshwater in the world. Two of Chicago's premier beaches are just minutes away from the hotel: Oak Street Beach and North Avenue Beach. Come enjoy!